I have a dream about getting a tea set of delicate thin bone china cups and plates, which I can use, when I am having an afternoon tea session. I have no idea, how this tea set specific should look like, but I know for sure, how it should NOT look. I do not want want too big tea cups, where the thickness of them are too much. The thickness of the tea cup should be thin. The colour of the tea set should be pale and springlike, I have a preference for the colour of green. After use it would be perfect, if the washing up could take place in the dish washer, but this is not a 100% demand of mine. I will knew for certain, when I stumble over this dream tea set of mine. Meanwhile I have decided to invest in some new ceramic tea cups in green or with green colour spots, which are made by hand of various Danish ceramists and none of these cups should look identical. 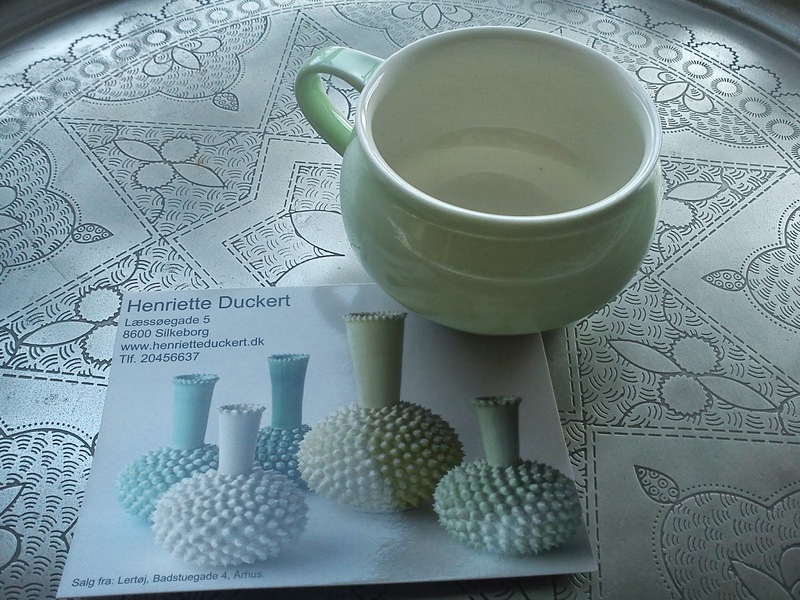 Last Friday I brought the third ceramic tea cup in a spring green colour and a size, which fits perfect into my hand. 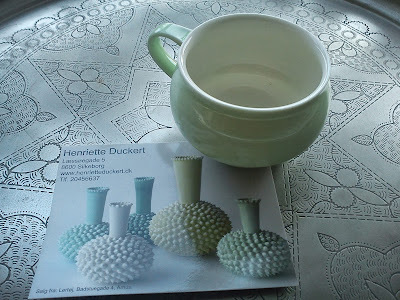 It is made by hand by Henriette Duckert, and I found it the artist shop Lertøj located in Aarhus. 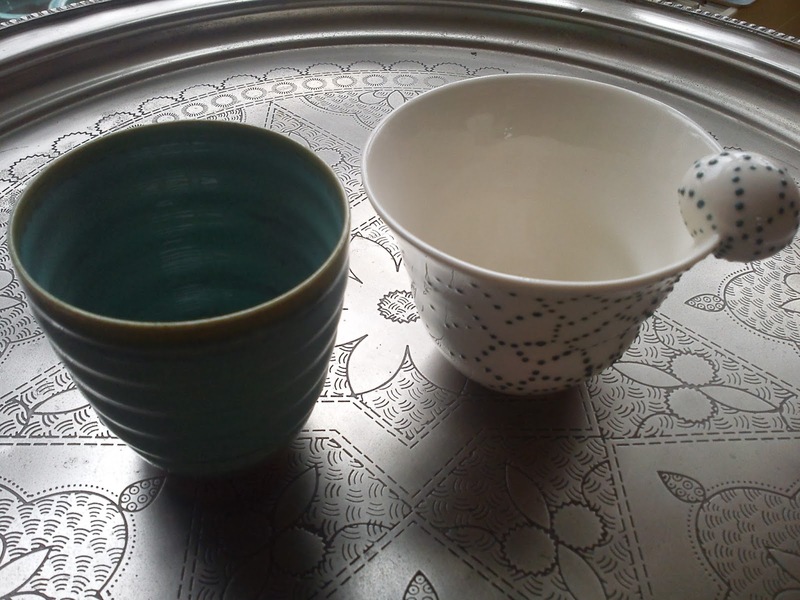 My two other ceramic tea cups I found Christmas fair at Trapholt Museum are made by Dorthe Hansen (dh-keramik) (entire green cup to the left and Dorte Kristoffersen (white cup with green dots to the right), so now I can make a afternoon tea for 3 persons.